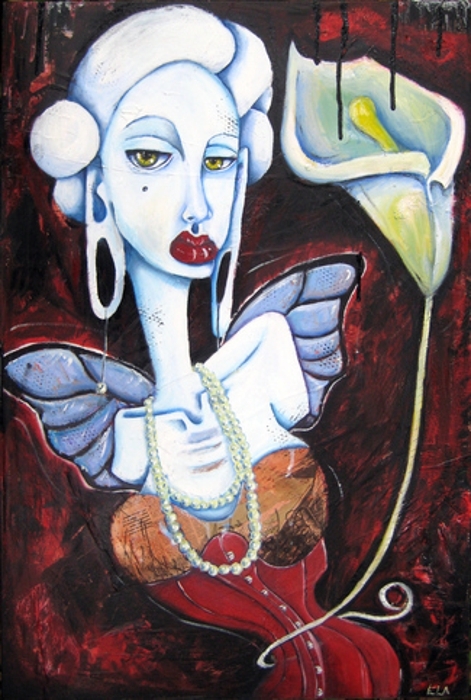 Ela Steel was born in Ontario, Canada. She studied Fine Art at Georgian College's School of Design and Visual Art in Barrie, Ontario (just outside Toronto.) 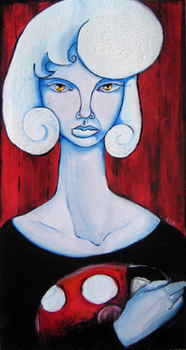 Since 2005 she has lived as an expat artist-girl near Houston, Texas with her husband, dog and three cats. She's been known to take months-long trips across North American and Asia. 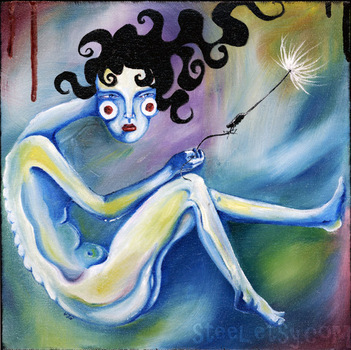 Her interest in corsetry and insect photography are expressed in her paintings, as well as her sarcastic, dark sense of humo(u)r. She uses narratives of her childhood memories, distorted by time and her adult understanding of human interaction, as a jumping off point in her work. - See more at her website.